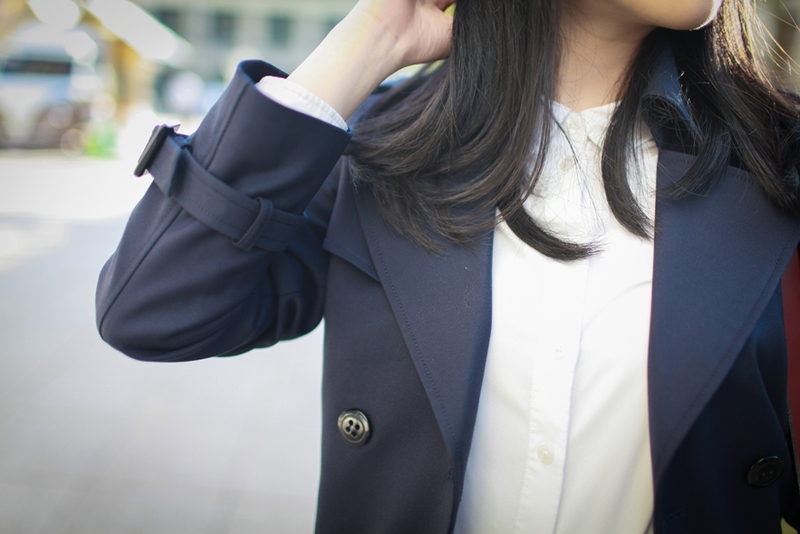 Navy Trench Coat. I’m always obsessed with navy blue. There’s something timeless and chic about the color navy/rich indigo. For this trench coat, I had my heart set on the navy option for sure. Spring days are unpredictable. Two weeks ago the weather spiked up to 70F in Boston and then yesterday the temperature plummet to 10F. This is where a transitional trench coat comes in. Trench is a great option to layer a sweater underneath or keep your body dry with on-and-off rain showers for transitioning to spring. 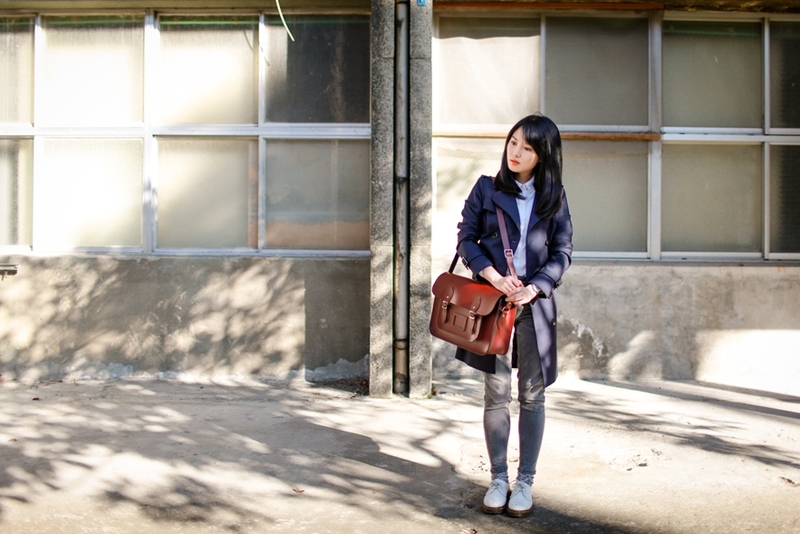 Trench coat makes the perfect addition to anyone’s wardrobe. Although we’ll get slight snow here in Boston this weekend, I know spring is not far behind because there are only a few days away from the first “official” day of spring. Navy blue has been my absolutely favorite color since I was a kid. I wanted everything in navy. But growing up, I didn’t own much navy blue items. Becoming older, I finally have navy back to my life and welcome everything midnight blue and indigo. 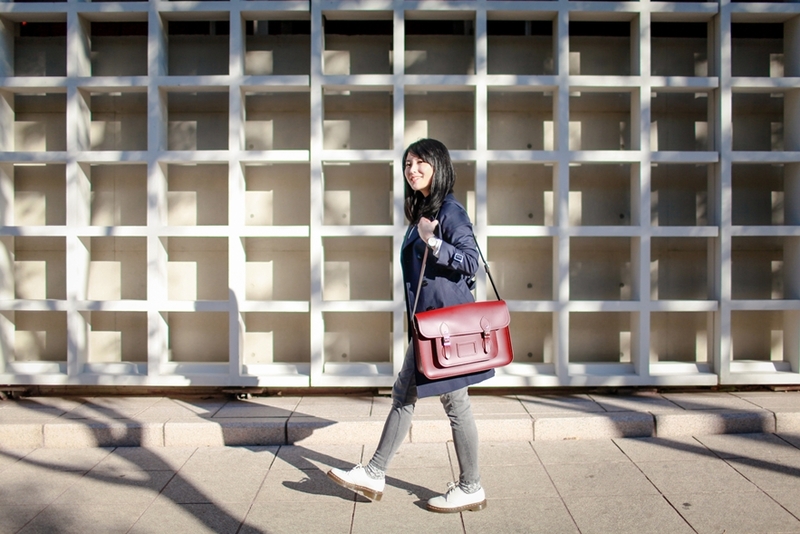 I always have my eyes on subtle navy pieces – not sky blue or Tiffany blue but navy blue. So it’s natural for me to opt for navy on this outwear. 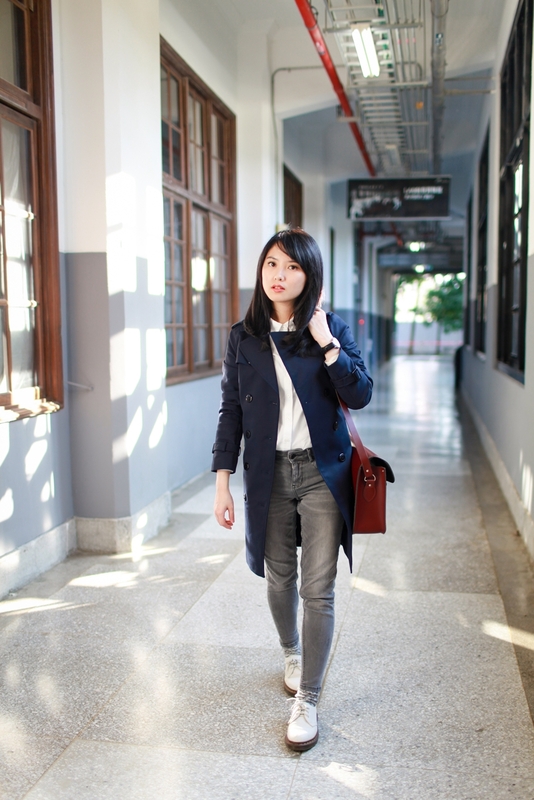 To style it, I wore a crisp white button-down tucked into grey high-risers that showed off the color and texture of this navy trench coat. I like the belt of the trench tied in back and have slits on each side. 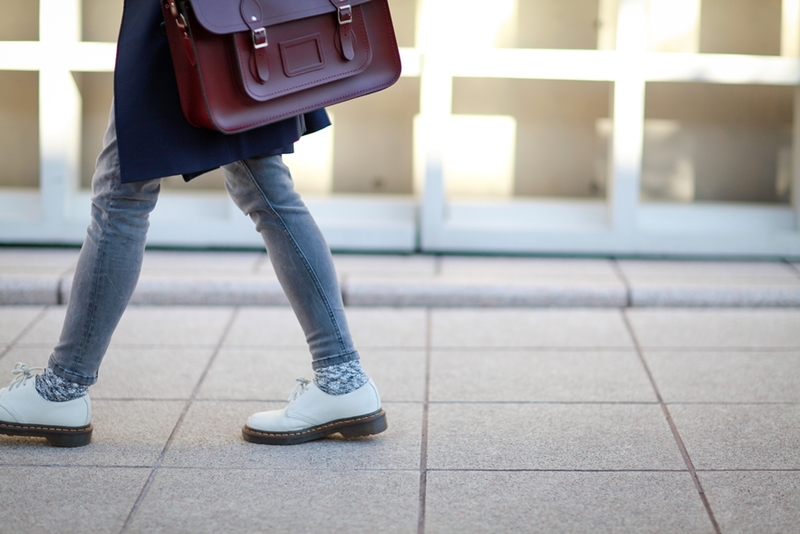 For the shoes, since I packed lightly and only brought this pair of white Dr. Martens shoes with me back to Taiwan, they unavoidably became my go-to shoes during my stay. 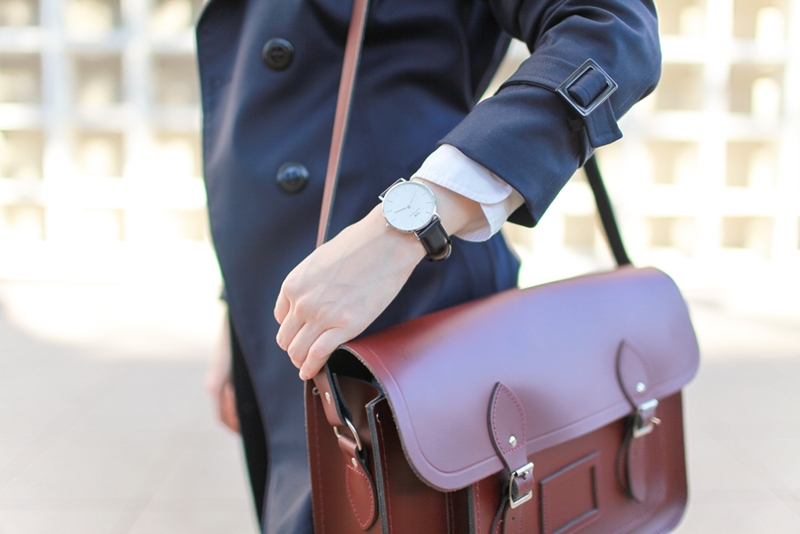 With the rich navy blue outwear, I paired with burgundy Cambridge Satchel for a touch of elegance. 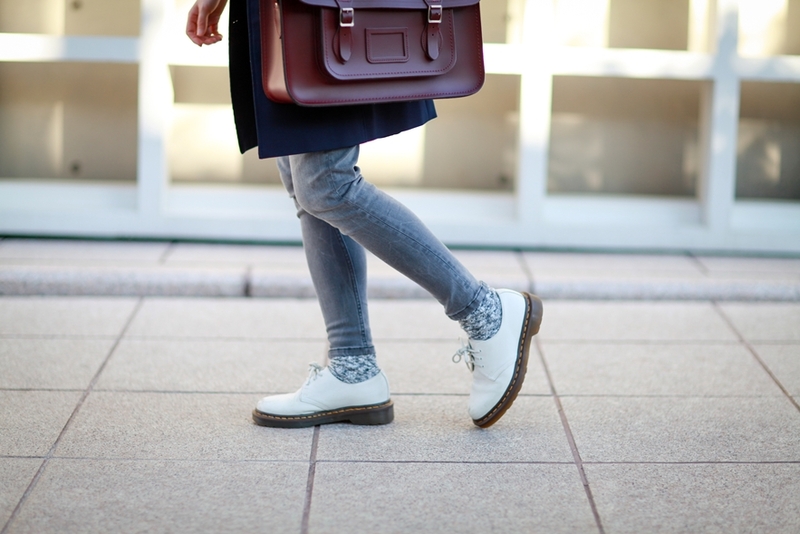 Burgundy goes pretty well with navy and I’ve tried the same outfit formula before in this post with different items. I’ll never get tired of wearing these classic colors together.